Our Fall Retreat is less than a month away! What is this Retreat? It's a free, live, online conference we at Thrive Moms created as a way to soak in truth and be in community with other moms across the country from any location. We have groups forming all over to watch together from living rooms and churches alike. Not signed up for Retreat yet? Register here. If you would like to host a group for Retreat, sign up here. Today, we are beyond excited to formally introduce to you our Fall Retreat speakers! In the online world and in our daily lives, we are bombarded by opportunities for comparison to creep in and make us feel like we are not enough. Join me for a time of encouragement where we'll focus on what God says about our value and how we can come to trust in His strength alone. How we spend our time is how we spend our lives, so let's spend each moment on purpose. Only in Him can we can be strong for our families, our friends, and those who so desperately need to be introduced to our great Lord. It doesn’t matter how long you’ve been a mom or in what stage of Mommyhood/Momhood you find yourself. Whether you’re busy wiping up spills and chasing toddlers, driving kids to soccer practice, helping your middle schooler with math homework, waiting up until midnight for your teen to get home, or sending your young adult children out into the world, all moms face attacks at some point (or actually many). This is not an if. It’s a when. As moms, we live on the front lines. So what do we do when those attacks come? How do we maintain peace in our hearts when chaos surrounds us? How do we focus on the promises of God when we aren’t even sure of the battle’s outcome? Because He has made us WARRIORS, we can stand firm on the front lines and fight the good fight, even amidst the flying arrows. We can embrace the battle. Warriors. Women who are serious about this calling and who are willing to be trained for battle. Mighty and strong. Perhaps you don’t see yourself in this light. You are tired and worn out and ready to throw in the white flag of surrender in this high calling of motherhood. Whether you are physically tired from sleepless nights with a fussy baby, or emotionally depleted by the destructive actions of a wayward son or daughter. Or perhaps you are a grandmother who feels utterly helpless in making an eternal difference in the lives of your family. Whatever season you are in, my hope is that you will be strengthened and renewed as we look at one of the most valuable resources and weapons we have as mothers and grandmothers….prayer. 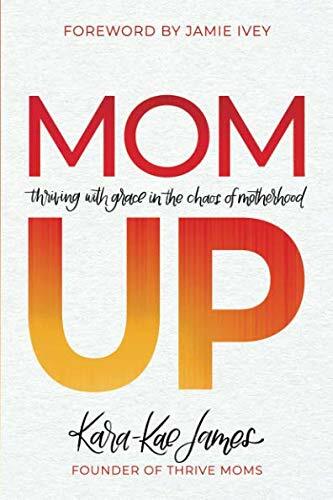 We will be peeking into the life of a certain woman in scripture whom God introduced Himself to in a very powerful way and how when we, as moms, are persistent in prayer, we can then experience refreshing rest along the journey. So gather your girlfriends, get coffee or tea in hand, and be ready to be equally blown away and blessed by these women. We are so excited to see you there! Oct 9 Mom, Are You in Need of a Time Out? !